View our latest news and updates to stay informed about the latest products available in the industry. 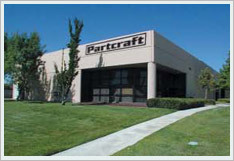 Ever since 1973, Partcraft has been offering our customers the highest degree of service. From our Power Steering kits to our customer service, we promise that your experience with us will be beyond your expectations. Every product that leaves our facility is guaranteed to service all of your power steering needs.